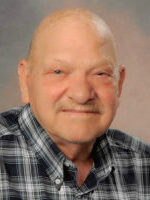 Leroy passed away Sunday, January 20, 2019 in Hastings. He was born December 25, 1945 in Marshall, Michigan, the son of Daylon and Zola (Shirey) Leatherman. Leroy proudly served his country in the U.S. Army during the Vietnam War. He had worked on his family’s farm, was a mechanic and a truck driver. In his free time he enjoyed fishing. Leroy was a member of the New Apostolic Church in Kalamazoo. On June 3, 1988 at her parents’ home he married Brenda Cody who survives. Also surviving are his children, Roland Leatherman, Leroy Leatherman II, Michael (Maria) Leatherman and Roger (Summer) Leatherman; step-children, Kenneth Bray and Sharon Bray; 2 grandchildren; sister, Barbara Leatherman and several nieces and nephews. He was preceded in death by his parents; brother, Bill Leatherman and sister, Betty Pitelkow. Contributions in memory of Leroy may be made to his family. Brenda, I am so very sorry for your loss hun. Please let me know what I can do. Call me & we`ll get together. Again, I am so so sorry. Our sympathy to Brenda and the family, we are so sorry. We enjoyed you both when you were our neighbors. Our prayers are with you at this time.. So sorry for your loss Brenda and family.